Detroit-based DTE Electric Co., with 2.2 million electric customers, is proposing a three-year, $13 million program, dubbed Charging Forward, that would provide rebates for residential, commercial and fleet EV charging infrastructure as well as consumer education programs. The program was filed with the Michigan Public Service Commission last week as part of a broader rate case that would increase annual revenue by $328 million. "Michigan is the automotive capital of the world with more than 70 percent of the country's automotive research and development spending," Camilo Serna, DTE's vice president of corporate strategy, said in testimony filed with the PSC. But "adoption of EVs in Michigan lags that of other states." More than 15,300 EVs had been sold in Michigan as of February, according to data from the Alliance of Automobile Manufacturers. DTE estimates that about 70 percent of those are in its southwest Michigan electric service territory. But the numbers in Michigan lag coastal states in EV penetration. The pilot program offered by DTE continues a long-running discussion in Michigan about how to move the EV industry forward in the state. The PSC, the Legislature and others have participated in discussions about the barriers to EV adoption, with utilities, automakers General Motors Co. and Ford Motor Co., and other parties in agreement that addressing the lack of infrastructure should be a priority. Ford, GM and manufacturer Siemens AG all signed letters of support for DTE's plan. Charge Up Midwest, a partnership of environmental and clean energy groups across Illinois, Missouri, Michigan, Minnesota and Ohio, also voiced support. DTE's proposal will "go a long way toward filling the electric vehicle charging infrastructure gaps that create barriers to EV adoption," Charles Griffith, Climate and Energy Program director at the Ecology Center in Ann Arbor, said in a statement. The plan is similar to a $7.5 million proposal by Consumers Energy earlier this year that would offer rebates for installation of residential charging stations, for public Level 2 charging stations and for direct-current fast chargers along state highways. Michigan, like other states, has grappled with policy questions about the utility's role in deploying EV charging infrastructure. Last year, Jackson, Mich.-based Consumers Energy withdrew a $15 million proposal to install 810 EV charging ports after pushback from commission staff, EV infrastructure company ChargePoint and other parties. 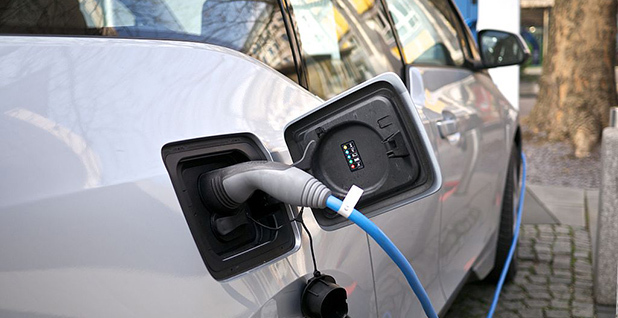 In December, following a technical conference on alternative fuel vehicles hosted by the Michigan Agency for Energy, the PSC issued an order with guidance to utilities seeking to use ratepayer funds for EV infrastructure. "The commission expects a detailed cost-benefit analysis to be included, with any benefits specifically concentrated on those to ratepayers as utility customers, not as a part of society in general," the order said. A 2017 study by M.J. Bradley & Associates commissioned by Charge Up Midwest concluded that EV adoption would save Michigan families, drivers and electricity customers billions of dollars over the next three decades. DTE said increased EV penetration would specifically benefit ratepayers because most charging takes place at night when electricity demand is low. Charging during the night would mean utility fixed costs are spread across more kilowatt-hours, pushing rates down. Meanwhile, the distribution grid can accommodate thousands more EVs without a problem, DTE said. A 2011 study by the utility showed that when EV charging occurs at night or on weekends, it would take about 25 percent penetration before there were any disturbances. Even then, less than 5 percent of transformers would be overloaded, the study concluded. "Although this study is outdated since it assumes much lower charging rates than what is currently available today, the company believes it is still directionally correct," DTE said, adding that it will consider updating the study as EV adoption grows. Under its proposal, DTE would fund investments in the grid up to the customer's meter to accommodate charging stations and provide rebates to site hosts to install the charging stations. The utility wouldn't own or operate charging stations itself. The proposed rebates would help fund 32 DC fast chargers, 1,000 Level 2 chargers and 2,600 home smart chargers across its service area in southeast Michigan. The rebate plan is similar to programs approved by regulators in other states, including neighboring Ohio, where the state Public Utilities Commission approved a $9.5 million plan for American Electric Power Ohio (Energywire, April 26). The residential customer rebates would provide up to $500 to customers who own an EV and install a Level 2 charger. The amount is a fraction of the $2,500 available under its first residential rebate program that was meant to cover all costs of Level 2 charger installation. DTE said charging equipment prices have fallen significantly over the last five years, and the intent of the proposed rebate is to cover just a portion of the costs for customers. Residential customers who apply for rebates must also agree to year-round time-of-use rates and commit to participate in future demand response programs offered by DTE that allow the utility to manage vehicle charging if necessary. DTE has offered an EV time-of-use rate since 2010, with reduced, off-peak charging rates from 11 p.m. to 9 a.m. And the rate structure has successfully incentivized EV owners to charge at night. The utility said customers on the time-of-use rates charge during on-peak hours only about 30 percent of the time versus 75 percent of the time for other EV owners. Level 2 charging rebates of $2,500 per port would be directed at workplaces and apartments as well as some public locations to "increase visibility and decrease range anxiety." Rebates for DC fast chargers would be $20,000. Reprinted from Energywire with permission from E&E News. Copyright 2017. E&E provides essential news for energy and environment professionals at www.eenews.net.